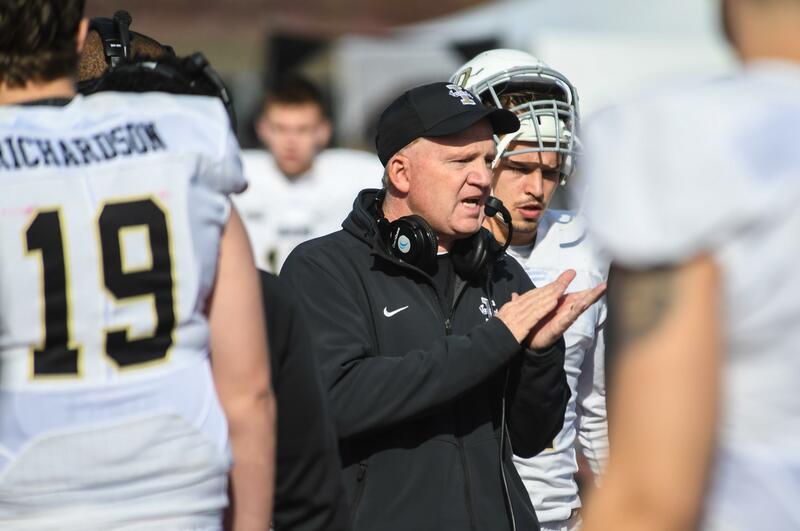 No longer ago than last spring, Idaho’s impressionable young defenders could sit around the locker room after practice and listen to the old linebackers tell stories about their Super Bowl season. The foundation of the defense was a linebacker corps so competent and veteran it appeared to have been in place dispensing justice to Vandals opponents since the era of the single bar facemask and the 13-team NFL. But Kaden Elliss, Ed Hall and Tony Lashley have moved on. This spring the defense is developing a new identity with a mix of returners and newcomers. It’s a defense that must rise to the task of controlling wide open Big Sky Conference offenses, and it expects to be more aggressive in fulfilling that role. Hightower has put on a useful-looking 15 pounds and now plays at 192. He brings a senior’s maturity to the secondary. Monday, he spiced his performance with a diving interception and, late in practice, a pass breakup. “Lloyd is practicing good every day,” according to Petrino. Walker played in all 11 games a year ago and this spring looks comfortable at middle linebacker, which allows Christian Elliss to return to the outside, where he played two years ago as a freshman. Hightower offered a similar take. In part responsible for the spark, Idaho is using more press coverage. “I’m way more comfortable in my press technique,” Hall said. With an evangelical zeal, Petrino preaches playing with low pads. Escalante says such attention to detail is something new for him. “Everything is a lot more polished here.” He also approves of the camaraderie he found when he came to Moscow. “I came from a junior college. The vibe is different.” He singles out junior Tyrese Dedmon, who has played extensively the past two years, for helping him learn the ropes in the secondary. Getting up to speed quickly is imperative. Escalante is being counted on to start. He embraces the challenge. Similar to Escalante, another newcomer has been struck by the culture he found among the Vandals. “Everything is pretty much easy,” says junior linebacker Jalen Jenkins, from Butte College in Oroville, CA. “They treat me as family. We have great bonds. But he added “I can say it’s different from where I came from.” Jenkins transferred at the semester into one of the snowiest Februaries on record on the Palouse. When he gets to be an old linebacker, surviving the Ice Age can be the subject of his own stories to pass on to a new generation. Published: April 1, 2019, 9:33 p.m.